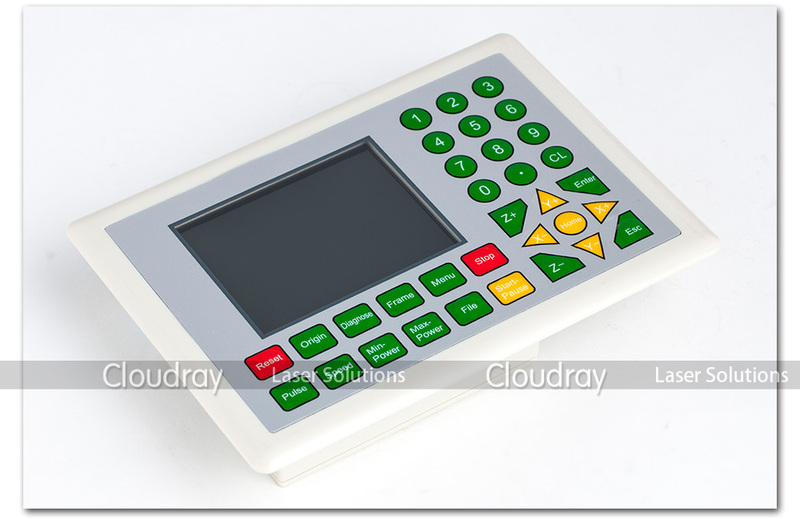 RDC6332G system is the latest laser engraving & cutting control system developed by Ruida Technology, this control system has better stable hardware with antistatic, resistance to high pressure. The human-machine operation system based on LINUX, with better operation interface and power functions, excellent motion control functions, high-capacity file memory, with strong compatible 2-way independent adjustable analog/digital laser power control interface, strong compatible U disk drive program, multiple ways gerneral/dedicated IO control. Integrated dedicated time system supporting hardware encryption algorithm. 2. Analog laser control signal:0 ~ 5V tracing adjustable automatically. 3. 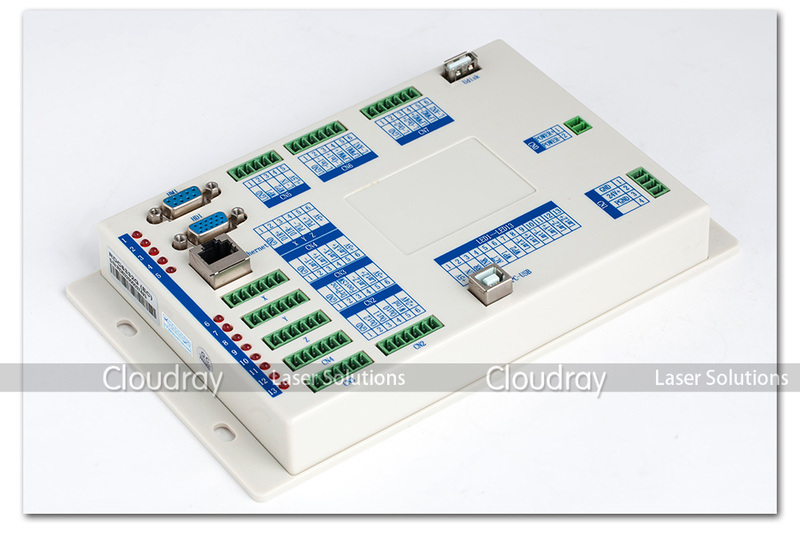 Motor control signal:differential output, TTL level, drive capability 20 mA. 4. Motor control pulse frequency:Max.500 KHZ. 5. USB:Max. transmission rate is 12M bps ; the longest distance is 5 meters. 6. Interpolation:Linear/circular arc/B spline, accuracy + / - 0.5 pulse. 7. Output:4-channel, photoelectric isolated OC gate output; max.drive capability is 500mA. 8. 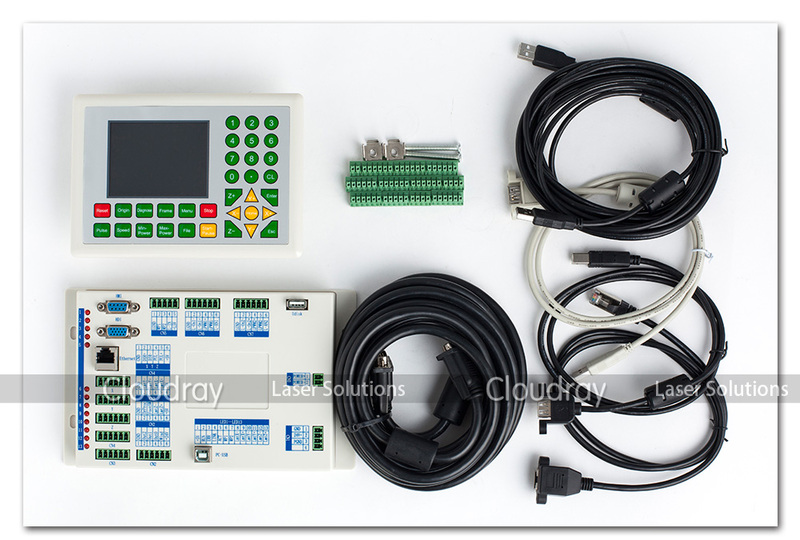 Input:4-channel, photoelectric isolated input, TTL level. 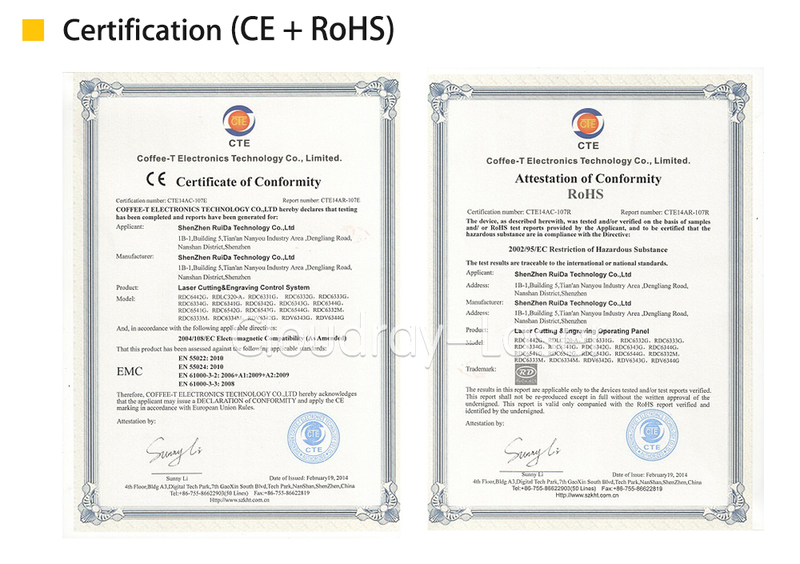 If you need the Manuals and Software, please leave us your email address. We will send them to you.